I had the pleasure of attending an event made especially for entrepreneurs! The panelists gave all the details on running a business, building a brand, the not-so-pretty parts, and inspirational messages to help you stay afloat. This was soooooo needed in our area! I met some amazing people and so many business owners with amazing products. Meet everybody below!! Meet Keisha Roberts, the event planner! Keisha is the owner of Flawless Hair Studios. Her IG is @msgoldyloxx. Meet the host, Iesha! Iesha is an entrepreneur who is known on IG for fashion and hair. Check her out @lipstickxlabelz! Meet Coach Matthew Hayes, the keynote speaker! He’s a certified life & relationship coach. Check him out on IG @coachmatthewhayes! Meet our first group of Panelists! (L to R) Montie Green, owner of Velvet Wax and Beauty, talked about her journey as a business owner. Check out her services on IG @velvetwaxandbeauty! Meet Cameron, the CEO of Violence Intervention & Prevention, who told his story of how a life changing shooting changed his life for the better. Check him out on IG @mindofabillion. Nia Wellman, who is the Founder of Campus Curlz and a YouTube Influencer, talked about her journey and branding. Find her on IG @niabiafoefia. Meet Jasmine of Kiss My Demin. Jasmine talked about the ups and downs of being a business owner. Her IG is @kissmydenim. Meet Jonna Scott-Blakes, Beauty Blogger, who turned her love for natural hair into a business. Check her out on IG @naturallyglam! Meet Rashod Harris, founder of The Rebel Societyxxv, who is a digital media strategist. Check out his work on IG @ShodHarris. Meet StylesbyJlo. She’s a self-taught hair stylist. She gave insight on how she made six-figures last year and gained the attention of celebrities. She specializes in wigs and weaves and has had the opportunity to do the hair of some of your favs. Check her out on IG @stylesbyjlo. Meet the “Expert Panelist” , (l to r) Galherbe Monel, Jasmine Smith, and Tanita Brinkley. They all gave advice on the financial side of being an entrepreneur. Mr. Monel specializes in non-profits and can be found on all platforms at Non-Profit Start Up Center. Jasmine gave insight on marketing and she can help you figure out the best strategy to execute your ideas. She can be found on IG @iamjayesmith. Tanita Brinkley is the money lady! She discussed the in-and-outs of taxes and business accounts. Find her on IG @tanitabrinkley! Meet Christalinn! She does live paintings! Check her out on IG @christalizedart! Meet Lydia! She’s a photographer and does a variety of occasions. Check out her on IG @lydiavmitchell! Meet Yaya of NatruelyYaya. She’s a licensed cosmetoloigst, certified reike healer, and sells handmade waistbeads. Check out her work on IG @natruelyyaya! 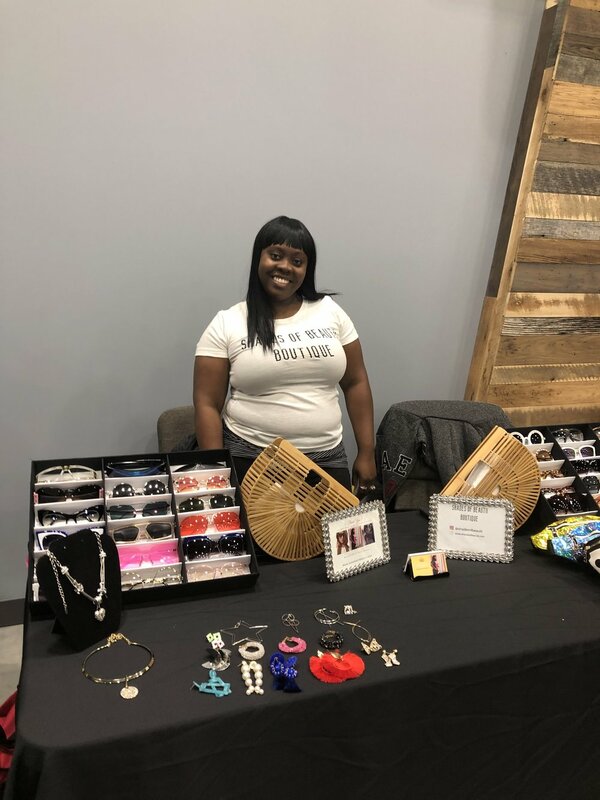 Meet the owner of Shades of Beautii Boutique. Check out her merchandise on IG @shadesofbeautii! 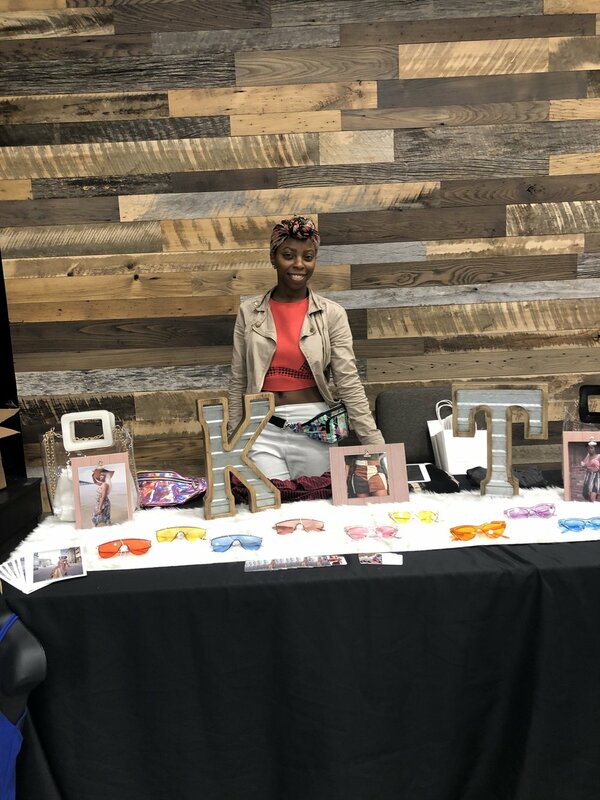 Meet Kay Hopkins of KT Attire! Her boutique carries sizes from a small to 3X. Check her out on IG @KT.Attire! Meet Lia of Her Hectic Life. She specializes in digital branding! Check her out on IG @herhecticlife! Met Lei of Mystic Fairie! She is a spiritual herbalist, akashic record practitioner, and does tarot readings. Check her out on IG @leithefaire! Meet the ladies of Creatively Solved! They help small business generate ongoing revenue through web design and digital strategy. Check them out on IG @creativelysolved! Meet the ladies of Griit Co. They specialize in embroidery, digital design, and customization! Check them out on IG @griitco! Meet the owner of Nostalja! He specializes in organic hair and skin care. Check out his products on IG @nostalja_! 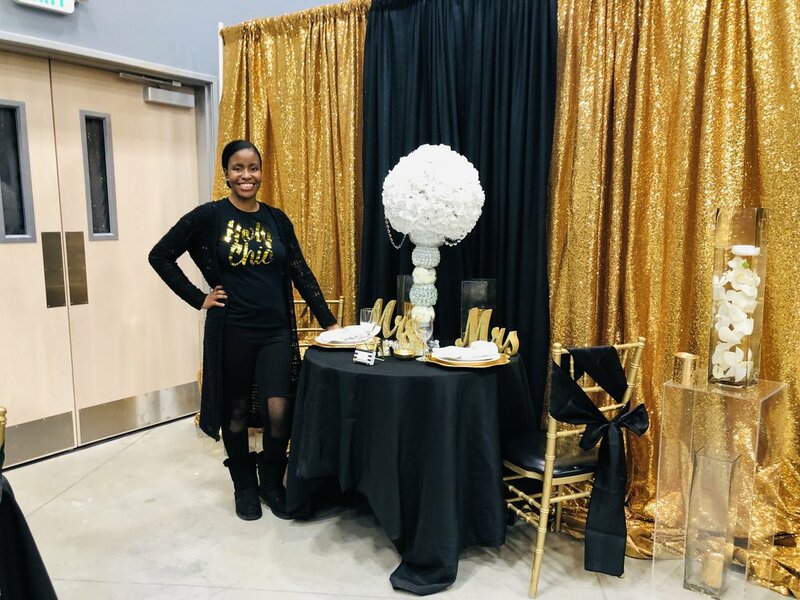 Meet Ashley of D & W Premier Events. She is an event and wedding planner. Check out her designs on IG @dwpremierevents! Meet author, Tia Deas. She has self-published 3 books. Check her out on IG @tialabreedeas and @figurative_keys! Meet Jasmine of Kiss My Denim. 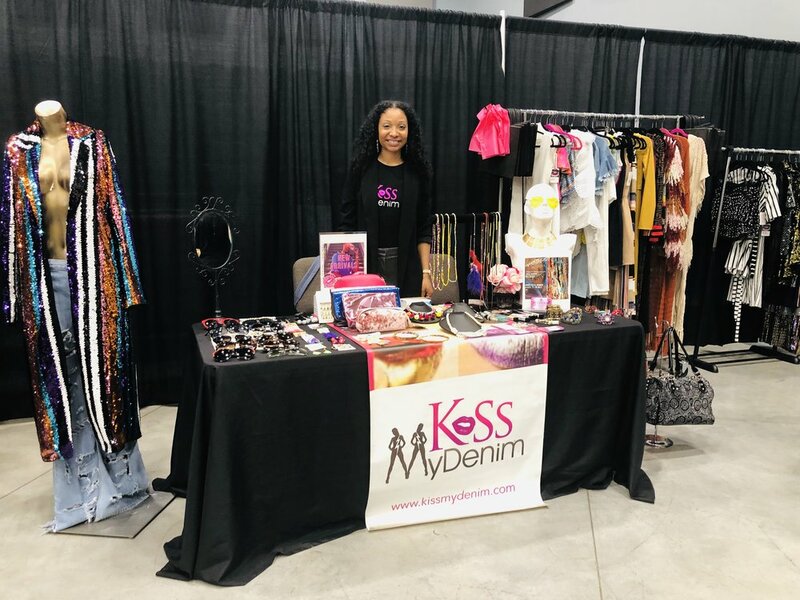 She’s the owner and creative mind behind Kiss My Denim Boutique. Check out her designs on IG @kissmydenim! Meet the Creator of Created to Create Natives. She specializes in yoni steams, herbal remedies, salt baths, shea soaps, and unique headwraps. Check out her products on IG @createdtocreatenatives!